First rate, cold hardy and excellently adapted to permanently wet sites in part shade to shade. This larger form of the Ostrich Fern forms a large crown in time. 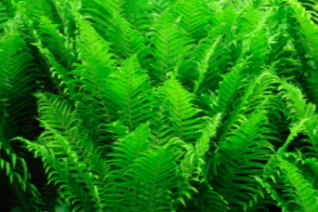 It supports very vertical soft green fronds to 3′ tall. In time the clumps increase in size. Rich, moisture retentive soil with regular summer irrigation. Creek margins, bogs, the edge of ponds. Completely deciduous in winter. Often turns showy russet orange before dying down. Returns in mid spring. Loathes drought and avoid hot sun. Opulent fern and a great selection. Moderate deer resistance.